Partner　Supporting your business with high-quality interpretation and translation service KY Trade Co., Ltd.
KY Trade is always seeking interpreters/translators capable of meeting corporate customers' needs in various fields of the IT industry, as well as in the financial, medical, pharmaceutical, biotech and other industries. As the first step, please sign up with us. Interpretation service is required in many different situations, such as large international conferences, seminars, press conferences, interviews, roundtables, product trainings, and various business meetings. 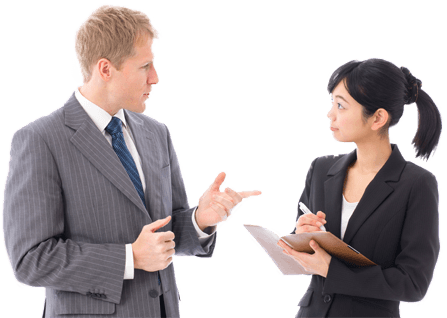 KYT is always looking for interpreters who can support our customers' business. On the registration form, please select the item "I want to be registered as an interpreter/translator," fill out the other required fields, and send the information to us. We will ask you to send the registration documents along with your resume, curriculum vitae and a list of achievements (with recent work prioritized) by e-mail or post. (An appointment will be made for the interview based on your availability. ※It may be a phone interview in some cases. If you press the registration button below, the form page will open, so please select the item(s) "I want to be registered as an interpreter/translator" in the "Registration Type" section, and send us your information. At a later date, our registration center will get in touch with you. We are always seeking translators who can translate, check or proofread various materials such as presentations, technical documents, manuals of various kinds, product catalogs, contracts, academic papers, newspaper and magazine articles, releases and other PR materials, IR materials, blogs, webpages, video soundtracks, etc. On the registration form, please select the item(s) "I want to be registered as an interpreter/translator," fill out the other required fields, and send the information to us. We will ask you to send the registration documents along with your resume, curriculum vitae and a list of achievements (with recent work prioritized). 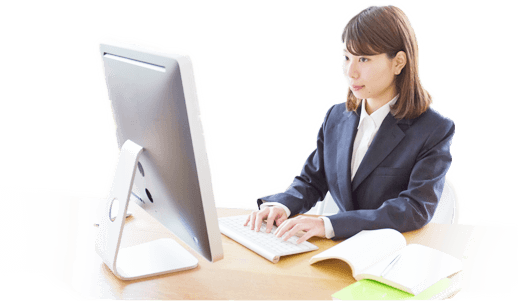 At a later date, our registration center will send you a document to be translated on a trial basis. (It may take roughly a month to inform you of the result)"
Our registration center will inform you whether you passed or failed in the trial. We may ask you to come in for an interview if needed.